SERVING THE MARINE INDUSTRY SINCE 1911. Heat exchanger & keel cooled propulsion engines from 5.8 to 22 litres, auxiliary engines, custom built generating sets and powerpacks, heavy duty reversing gearboxes, hydraulic power steering systems and power take-off units, heavy duty sea water pumps for most makes of engines, strainers, impellers and accessories, installation and servicing. WaterMota Ltd, are the exclusive UK and Ireland distributor for Doosan Infracore, JMP & D-I Industrial, we are also a UK distributor of AZCUE pumps and spare parts. 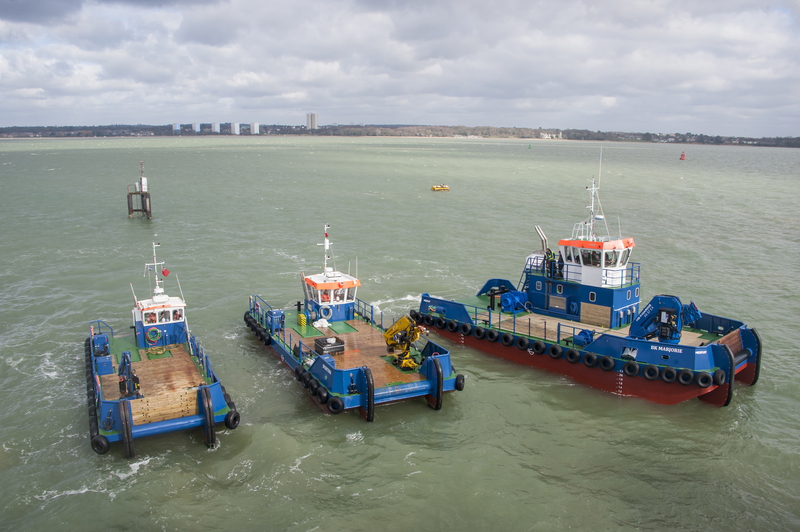 WaterMota supply machinery to all types of pleasure and commercial vessels with customers include angling, charter, commercial fishermen, Dutchbarges, ferries, fish farms, harbour workboats, landing craft, multicats, pilot vessels, pleasure and trip boats, tugs and wind farm support. WaterMota is also supplying increasingly into industrial, mobile and military applications. Arklow Engineering, Anderson Marine, Belfast Harbour Authority, British Royal Navy (HMS Sultan, Defence school of marine engineering) Macduff Shipyards, Manor Marine, Meercat workboats, Parkol marine engineering Ltd, Williams Shipping, to name just a few. Our aim is to continue to develop our national dealer network to maximise sales and provide excellent product support. We have the advantage of a vastly experienced, dedicated team and as such we are skilled at matching the right engine and generator set to the right application. WaterMota was established at the Pembroke Engineering Works at Hampton Wick, Kingston upon Thames in 1911 by Walter Fair as a subsidiary of Rigbys a London gunsmith where he was the manager. The first engines produced by the company were American Waterman two stroke inboard and outboard engines built under licence, similar in appearance to the copper jacketed K1 and K2 engines which were eventually developed by Fair. However, one of the many innovative products produced by WaterMota in the initial years was a variable pitch propeller which could be set to allow speed, ahead, astern and neutral by altering the propeller’s pitch. This was a much improved version of the original variable pitch propeller thought to have been patented in 1895 and was in production until the late 1990s. In June 1927, Yano in Bullet Two and Fair in British Maid Two were the first to race a British designed outboard in the first ever outboard motor boat race in England, using the WaterMota engine to achieve the fastest lap, running away from the field from the start. Success followed success in rapid succession with Fair coming first in the national championship for “B” class motors up to 650cc in 1927 and 1928, also claiming the mile record and the Star International Championship at a speed of 35.84 miles per hour. Throughout this period and into the 1930s, production of the copper potted K1s and K2s continued and the C4 was introduced based on the Ford E93A C Series automotive engine also the SK2 was introduced, an up rated version of the K2. The C4 was fitted with the Joes 505B marine gearbox imported from America and assembled at their works in Walton upon Thames. The original gearboxes were a sealed unit driven by a lay shaft from the flywheel, with four mounting points enabling it to be driven by almost any engine. It was later manufactured under licence by the company and produced with extensive modifications until the mid 1990s. The J Type gear box was fitted to the Sea Wolf, Sea Tiger, the OHV. Sea Panther, Sea Cub, Sea Beaver and also supplied to other marine engine manufacturers including Seafarer and Solo of Sweden. The engine was sold to Sheridan Marine which still offers a repair service. 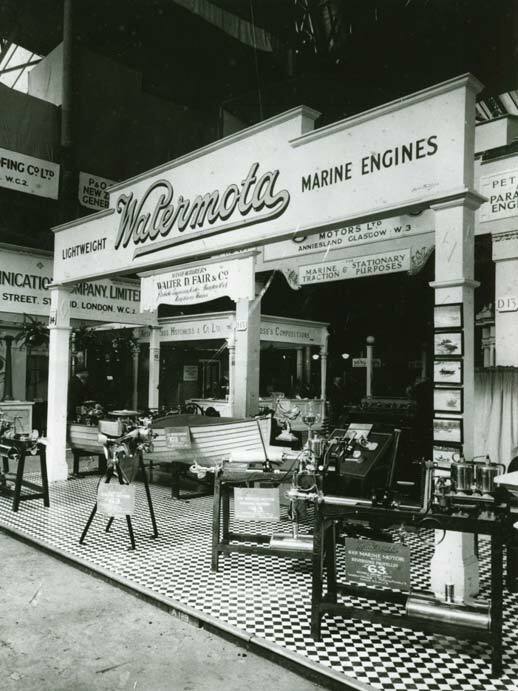 In 1938, WaterMota relocated to Two Mile Oak in South Devon and in 1944 resumed production of its marine engine range, suitable for boats up to 20 tons. In 1952 the stores and offices above the machine shop were destroyed in a disastrous fire and the machine shop was also extensively damaged. This incident probably hastened the demise of the K1S and K2S and production ceased on these two engines. The outbreak of the First World War severely curtailed the production of marine engines with production facilities given over to making Hyland Cocking levers for machine guns and a range of aircraft fittings. 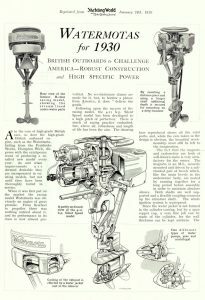 During the war, the British Admiralty approached WaterMota to design and produce and outboard for their use, the result being the Mark 1 which was produced with little change until 1926 when it was developed for outboard racing for Fair’s son Colin and Shingo Yano who had previously worked for the Anzani engine company. The engine was revamped from 31/2 hp/292cc @ 900rpm into a 15hp/347cc @ 4.500rpm racer suitable for pushing a hydroplane up to 40mph.